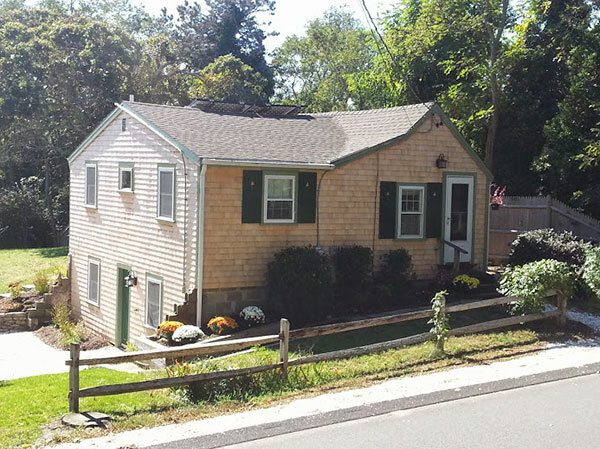 The Road House is perfect for a couple or small family to enjoy a quiet, fun filled, and relaxing Cape Cod vacation. During the renovation of this quaint 1890 cottage we worked hard to keep the original “cottage” feel with its wood flooring, enclosed porch, and new outside deck overlooking a large yard perfect for playing, grilling, or simply relaxing. 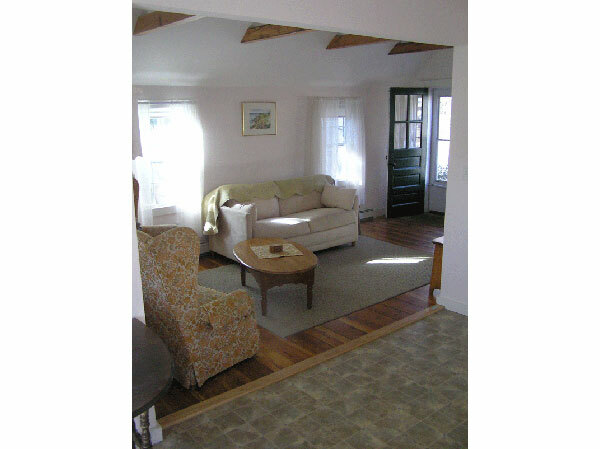 The cottage is fully heated and perfect for late spring and early fall getaways. The general store is just a quick walk across the bike path next to the post office, bike rental, liquor store, and the Wellfleet Chamber of Commerce information booth. There is a fantastic bakery called The Blue Willow that serves exquisite muffins, pies, and cakes. In addition, just a two-minute walk across the street is “PB Boulangerie Bistro,” known as one of the best eating establishments on the outer cape. 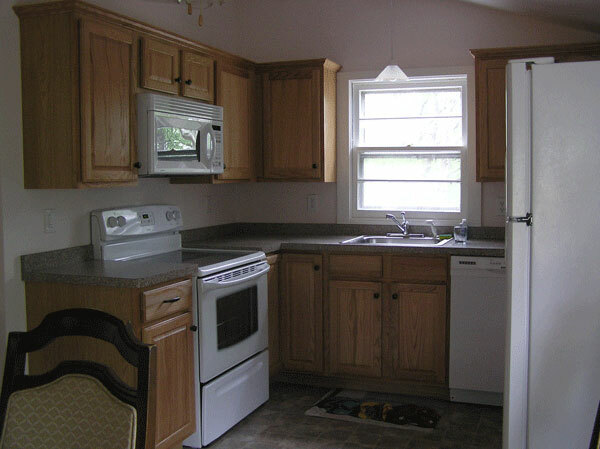 A fully-equipped eat-in kitchen with dishwasher, electric stove and microwave. Living room with cable TV, Blu-ray, and comfortable seating with a full size sleeper sofa. One air-conditioned bedroom with a queen size bed. A screened-in porch with a full size futon sofa. A lovely deck, and a large yard with picnic table, hammock, outdoor furniture and a gas grill. A washer and dryer in the basement and clothesline in the back yard. Two bikes are available (one men’s, one women’s). Plus $200 refundable security deposit. Payment is by check or money order. Credit card payment can also be arranged through PayPal. My wife and I had the pleasure to stay here the week of August 9th 2010. The first thing that we noticed when we entered the door was how clean the place was. Everything looked to be brand new. It was perfect for us. 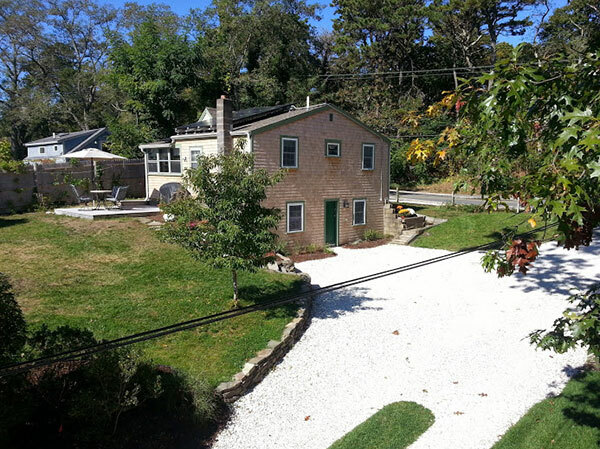 The location is awesome, about a two minute walk to the Rail Trail, and another 15 to the beach. We really enjoyed our stay here. The cottage has everything but sheets and towels which we brought ourselves, no problem. The back yard is very nice and there is a deck and BBQ Grill. There were also two bikes for our enjoyment. We had a wonderful time here and we will be definitely be back! The cottage at LeCount Hollow is a perfect get-away. Location is convenient for access to all areas of the Cape. The bikes and helmets provided are in great condition and riding the bike trail is a great way to spend time. The beach is just down the road and can be reached by walking, bike or car, We walked to Marconi Station via Wireless Road a number of times-a really nice walk. 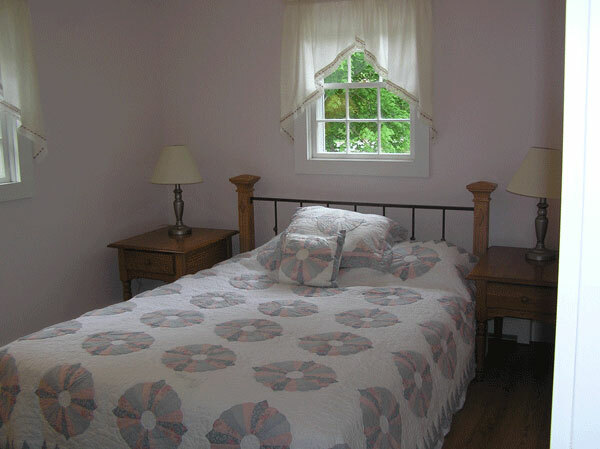 We were pleased with the cottage-clean, well-maintained, and well equipped. Great place to spend some time! 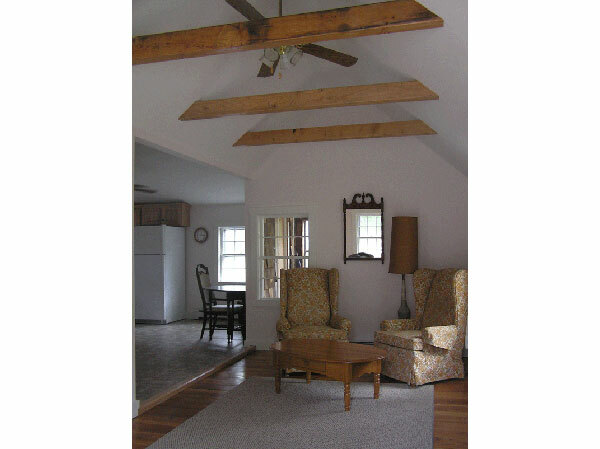 Bill and Joy continually update the property- the cottage is clean and has everything one would need for a vacation. We love our “treats” at the Boulangerie at the corner, and the seafood (both fresh and take out) at Mac’s Market in Eastham is highly recommended. Location is close to the beach as well as the Wireless Road. The Wireless Road will take you to Marconi Station and White Cedar Swamp-a nice 40 minute round trip walk. Another fine place to explore is Wellfleet Audubon-just down Route 6. The Cape Cod Bike Trail is at the end of the driveway-and bicycles and helmets are provided. We highly recommend the Road House! Awesome cottage feels like our second home. Bill and Joy are thoughtful and responsive, have provided just about every amenity that exceed expectations for a comfortable stay which is why we have been returning every summer for the past 7 years. The property is very well maintained and it seems they are continually adding nice touches. It is about a 15 minute walk to an ocean beach. You can easily access the beginning of the bike trail from the cottage as well as a small village with a general store, bakery and post office. 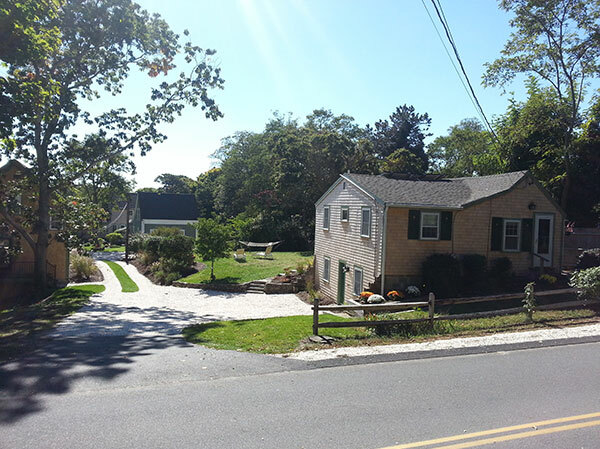 It is a short ride to Wellfleet center’s shops and restaurants, and convenient to Truro and Provincetown. Some of our favorite restaurants are Winslow’s Tavern (on Main Street, lovely outdoor seating among the trees), Blackfish (the best!) and Terra Luna in Truro and Napi’s in P-town. We would highly recommend this gem for a memorable outer cape experience. The cottage was spotless and charming. We loved sitting on the screen porch at night, and having breakfast in the sun on the patio watching hummingbirds and bumble bees. It was close to everything we wanted; great restaurants, beaches and nature areas, the bike trail, and Provincetown night life. We had everything we could possibly need (extra blankets, a fan, umbrella, pool noodles, flashlight, blender, iron) It made packing for vacation a breeze. We can’t wait to come back! My wife and I rented the Roadhouse Cottage and found it cozy, comfortable, and clean. However, the best part of this vacation was the location. 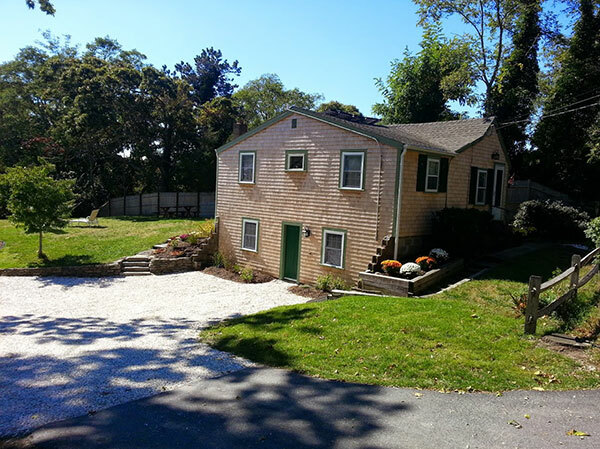 The Roadhouse is conveniently located so that you can walk to several good restaurants (Blue Willow, the Bistro) and hiking trails, is within a stone’s throw of the Cape Cod Bike Trail, and is just a half mile from a beautiful beach. The “Road House” worked out just perfectly for us. The location: so close to the beach; right on the bike trail; convenient to great restaurants; incredible pastries just steps away; and a short drive to Provincetown allowed us to take in all the Outer Cape had to offer. The cottage was cozy and comfortable for two. We felt immediately at home. We had all we needed to prepare simple meals in the nicely appointed kitchen. Laundry in the basement was a great plus. We enjoyed relaxing in the hammock and visiting with Mae (the owner’s sweet pooch). We had the best time in this perfect little house. I was able to watch the full moon move across the sky from my bed on the sleeping porch which was one of the reasons this house appealed to me so much. Almost like being outside. Joy and Bill were perfect hosts, available and friendly. We had no problems or questions but knew they were there if we had. Bike trail, choices of places to swim every day, quiet even though it was on the street. Perfect vacation. The roadhouse was wonderful and we had the perfect holiday. The location is perfect and has now become our favorite part of the Cape. We will be back. Our hosts Bill and Joy were terrific. Nice, attentive, and extremely helpful! We keep returning….year after year. The “Road House” could not be situated in a better location. All areas of the Cape are easily accessible from Wellfleet. The beach and a path to Marconi Station and White Cedar Swamp are just a short walk down the road, and the bike path is down the driveway. Each year that we have stayed in the Road House we have noticed changes in the property. At times the changes are subtle (new windows, deck, air conditioner), other times they are knock your socks off fabulous (new shingles, solar panels, totally new landscaping). Joy and Bill take pride in keeping the property clean, comfortable and welcoming for their guests, which is why we continue to return every year. One could not ask for better people to have as the owners of the property. They are available if you have any questions or problems either in person, by phone or email. We appreciate their commitment to recycling, composting and use of solar energy. Joy and Bill will make you feel welcome. If you are looking for the perfect get-away, this is it. The cottage is equipped with everything you need-just toss your sheets and towels in the car when you leave home, and you’re all set! Each year we look forward to buying some smoked salmon and some fresh fish from Mac’s Seafood Market in Eastham. They have an incredible selection of fresh seafood that you can take back to the cottage and cook up. We enjoy hiking, so when we are on the Cape we take advantage of all of the trails that there are to explore. An annual event for us is one spent at the Wellfleet Audubon Sanctuary which is just a short drive. You will find information provided at the cottage on trails, the bike path, restaurants and other activities. Bill and Joy are perfect hosts and they have created a lovely retreat at Hidden Hollow. 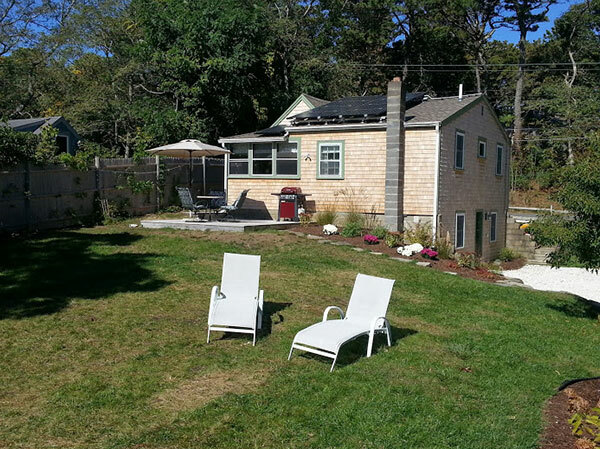 The back yard is peaceful and relaxing and there is direct access to the rail trail bike path from the property. 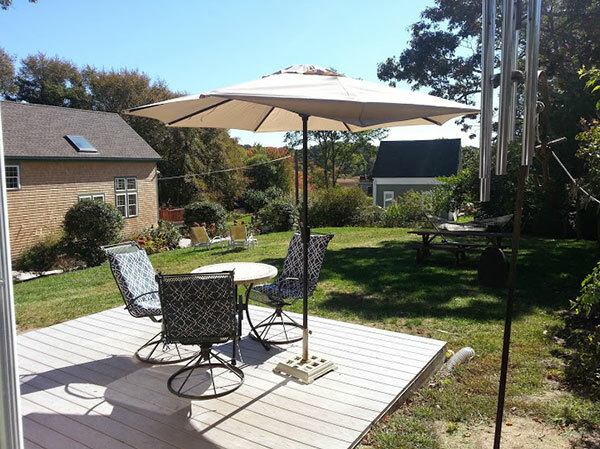 This is a perfect location for enjoying Wellfleet with easy access to the Cape Cod National Seashore, Orleans and Provincetown. Within a 5 minute walk you have P.B. Boulangerie (breakfast/lunch/dinner), a gourmet market and a bike rental shop (Little Capistrano). The house has everything you need and it was very clean and well-maintained. We look forward to returning.